WHY DOES YOUR PRESCRIPTION BECOME AN OVER-THE-COUNTER DRUG? Proponents of RX to OTC say it reduces costs and you don’t need a visit to a health care provider. Numerous bans on generic-drug manufacturing facilities in India. The FDA approves most OTC drugs—whether they were once RX or not– if the compound follows a recipe (monograph) similar to the original and does not contain known harmful ingredients. WHAT ABOUT COMBINING AN RX AND OTC DRUG? Often a bad idea! Patrick J. Skerrett, Executive Editor, Harvard Health, posted in 2012:“Mild and relatively uncommon, interactions involving OTC drugs can produce unwanted results or make medicines less effective. It’s especially important to know about drug interactions if you’re taking Rx and OTC drugs at the same time. Some drugs can also interact with foods and beverages, as well as with health conditions such as diabetes, kidney disease, and high blood pressure. WHY ARE YOU TAKING AN OVER-THE-COUNTER MEDICINE? Impulse when you saw it in a store? A TV commercial or a popular article about the product influenced you? Your friend or your health care provides recommended it? Proceed with care because OTC does not necessarily mean Only Take Casually. The FDA says about OTC drugs: The result of the change in consumer habits is that prescription, over-the-counter, homeopathic, and herbal medications’ overuse, misuse and abuse have reached almost epidemic proportions. People experiencing acute drug reactions ranks seventh among the causes of hospitalization at a cost of more than $21 billion a year. RX and OTC nonsteroidal anti-inflammatory drugs (NSAIDs) alone are used by 13 million Americans and cause more than 7000 deaths each year. 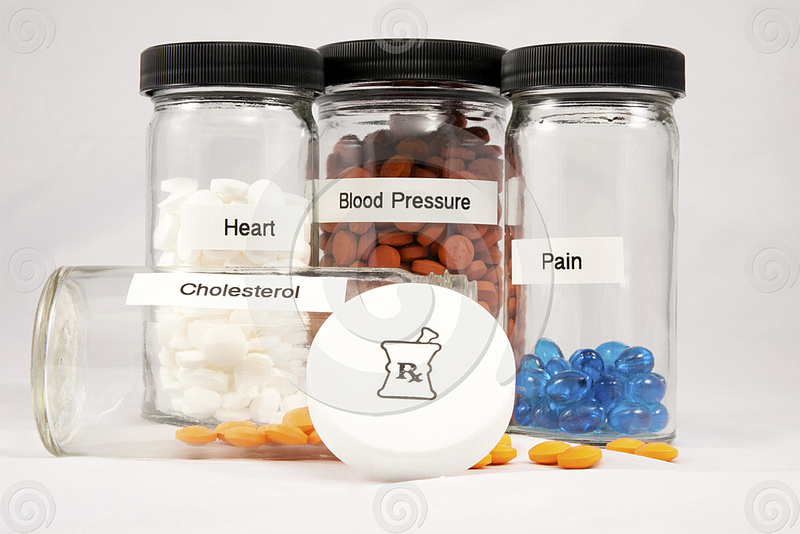 An estimated 40 percent of patients don’t take their medications as directed. The Agency also warns: Over-the-counter (OTC) drugs play an increasingly vital role in America’s health care system. OTC drug products are those drugs that are available to consumers without a prescription. There are more than 80 therapeutic categories of OTC drugs, ranging from acne drug products to weight control drug products. As with prescription drugs, CDER (Center for Drug Evaluation and Research) oversees OTC drugs to ensure that they are properly labeled and that their benefits outweigh their risks. CDER, which is part of the FDA, is also responsible for biological therapeutics and generic drugs, fluoride toothpaste, antiperspirants, dandruff shampoos and sunscreens — all considered “drugs.” Food and medical devices are also inspected by the FDA so you can understand why the Agency is often overwhelmed. OTC and RX regulations are not carved on a stone tablet— the regulations often change status—sometimes depending on which company has the most talented lobbyists. Therefore think before you swallow an Rx or OTC medicine, especially if you are taking both. You can find information on many sites including: www.Fda.gov ; http://www.webmd.com and www.drugs.com. The sites give information about Rx and OTCs and of the effects and side-effects. They even provide cautions about combinations of OTC, RX and food.